2 teaspoons macadamia oil, olive oil will suffice too. Blend all the ingredients in either a blender or food processor until coarsely chopped and flowing. Place in your freezer compartment for 5-10minutes to chill down ready for serving. 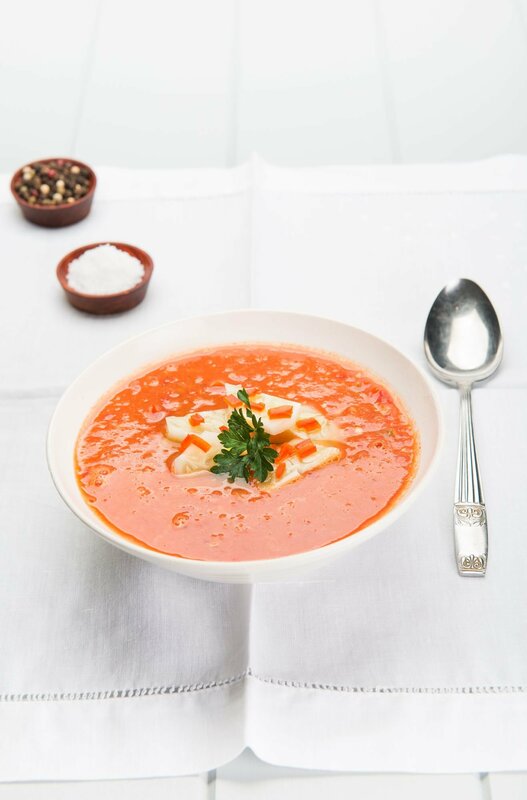 Pour off into a soup bowl and garnish with tomato, bell pepper and spring onion. Serve with Sunny Seed Bread. Recipe Copyright Scott Mathias 2014. Let's Eat RAW recipe book. New Holland Publishers.